What an honor and a privilege to share your “musical journey” and let you transport us to the magical place that only music provides. A quiet space that will hold at least 50 people. Seating to accommodate the anticipated audience. Between fifty and three hundred eager audience members. We want to maximize the benefit to your community! Does the Piatigorsky Foundation currently perform in your state? To view tours from this past season click here. If the answer is yes, then please contact us immediately to arrange a concert in your area. There are still a limited number of dates available for the current season. If all the dates in your area are already filled, we would love to add your venue to our schedule for next season. If the answer is no, we would be thrilled to come to your state. To book a tour in a new state we must be able to schedule a minimum of five performances. You can help us find the venues we need to fulfill this goal. 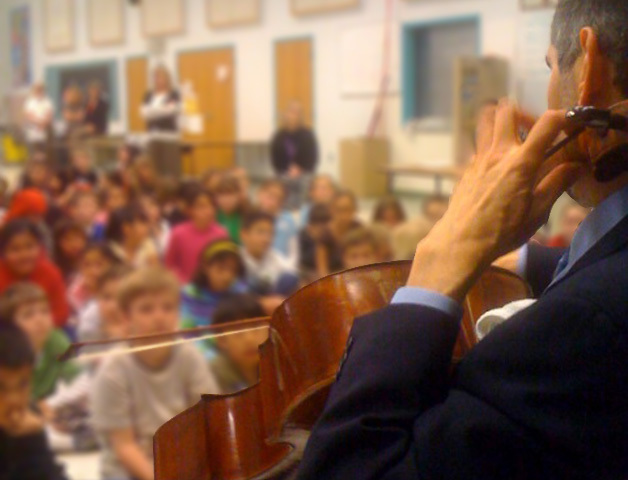 We present concerts in schools, libraries, synagogues, churches, museums, retirement communities, prisons, work places, community centers…virtually anywhere people gather. Please contact us with a list of possible venues in your state and we can begin working together to include you in our next concert season.